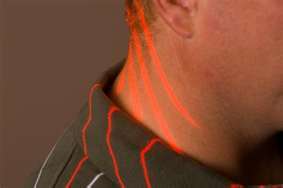 How do Cold Lasers Affect Tissue? One of the most difficult aspects of recovering from invasive medical procedures is the recovery time involved. Time off from work and regular activities, related costs, as well as pain or complications associated with healing further complicate your life and cause discomfort. Many patients today are eager to find alternative, affordable medical treatments to alleviate these negative impacts. Fortunately, modern technology provides us with improved options to safely and effectively promote faster healing and decrease risks through internal cell rejuvenation. Cold lasers are a recently available option to avoid tissue damage when seeking intervention for specific physical ailments. While lasers are not new to the medical field, the use of cold lasers is a more recent therapeutic development. Erchonia Medical has developed the Zerona Medical Laser, proven to effectively treat various conditions such as wound healing, arthritis, body sculpting and pain. The FDA approved device allows patients to comfortably receive treatment while relaxing as the cold laser emits low levels of therapeutic light to the body. Periodic session times are brief, completed within an hour. Patients report no adverse side effects, with positive sensations of tranquility and relaxation the norm. Cold lasers are noninvasive, unlike hot lasers used for various surgical purposes. The low level light emitted from cold lasers does not destroy tissue; conversely, it is reported to stimulate cell growth and repair. Cold lasers also assist with improved circulation which, in turn, promotes faster healing. As a result, individual physical properties that induce wellness work to repair cells, leading to improved health. Cold laser therapy treatment has been used to help regenerate tissue during the wound healing process. Studies show that this intervention helps cell growth increase dramatically and also keeps bacteria from spreading further. The innovative cold laser strategy has been shown to increase blood flow to wounded regions, both improving circulation and recuperation time for patients. Production of the anti-inflammatory cortisol also increases, leading to quicker results. In addition, cold laser therapy has proven beneficial to patients suffering from arthritic joint pain. This form of therapy has reportedly regenerated cartilage in patients, while also reducing the inflammation and swelling typically experienced. To treat arthritis, the laser light is applied anywhere from half a minute to several minutes, depending on the how drastic the case may be. Studies have indicated that this method is especially beneficial for those with rheumatoid arthritis. In essence, cold laser therapy is effectively showing signs that it can assist patients achieve relief from a number of distressing conditions. The healing process that takes place in cells from the laser is based on a photochemical reaction, which also helps with the overall metabolic processes. In addition, this breakthrough therapy also helps remove unwanted fibrous tissue, which is more commonly known as the scar tissue that we experience from injuries. Cold lasers work to provide damaged cells energy and oxygen, without affecting surrounding areas. For an alternative to traditional surgical techniques, cold lasers are well worth considering as an alternative treatment designed to avoid tissue damage and promote natural healing.